When we think of CD, we typically think of continuous deployment as a result of continuous delivery, which is a goal of DevOps. In this article, I coin the phrase, “Continuous Delirium,” to mean unending confusion or bewilderment in development environments. There are probably several examples that could fit the bill here, but for now I offer seven real-world examples. I bet you’ve seen or heard about at least one of these. Insufficient configuration and build management in software builds leads to the same or similar software impurities rearing their ugly heads again and again. You build, test, discover the defect, fix it—or so you think—build again, retest and boom: The same coding error or software malfunction recurs. “You can cure this malady with a rational approach to the build and configuration management process, checking software in and out with established procedures for each software module using a tracking sheet that identifies the revision of the sub-modules for the entire software product,” notes Jon M. Quigley, founder of Value Transformation, a product development consultancy and training firm based in Lexington, North Carolina. No. 2: What’s Going On? Who’s Doing What? When there is no reasonable understanding of the work, who is doing what work and who is responsible for what—and there is no consistent measure of what is good work or bad work—you have a breeding ground for anarchy. “You cure this ill by establishing what constitutes the appropriate quality of work as well as by periodically reviewing the state of the objective with the receiving or depending entity,” says Quigley. Make sure everyone is on the same page with the same definition of what constitutes quality work and make sure the objectives have not changed. Also, ensure these goals are also clearly understood by all. When you do not test the software as early as possible and throughout the development process, you can’t really say it has no bugs. Error-free compiling is not error-free software. Software compilation does not have the same investigative effect as using the software in the customer environment. “Test throughout development using complimentary testing approaches such as testing to requirements, combinations of stimulus testing and exploratory testing, for examples,” says Quigley. The further you try to plan things out into the future, the less control you have as you follow the project through to conclusion. “When we treat a plan as though we know everything associated with the project for the next 12 to 18 months, we are fooling ourselves,” says Quigley. By breaking projects into bite-sized increments, you can better assure successful completion of sub-projects and of the project as a whole. Customer involvement is critical to customer satisfaction. “By getting the product or a prototype into the customers’ hands for exploration, you can retrieve feedback for developers,” says Quigley. This may expose the project to risk in the form of the potential for a great deal of change at the customers’ request, but the other side of the coin is the risk that nothing changes and the customer doesn’t use the product at all. “Rather than try to deliver one incarnation of the product at some future date, break down the delivery into separate iterations that meet prioritized customer expectations one by one as you refine the product and add features as you go along,” says Quigley. Customer involvement means there will be change. Change requires change management. There is a given—and correct—assumption that customer involvement will trigger change management at some point. You cannot isolate the one from the other. Further, just as you can better address customer requests for changes by breaking the project into smaller subsections, so also can you manage budget through change and change management. Project subsections enable you to see the need for change a little at a time so you can create change in a more targeted and cost-effective manner. 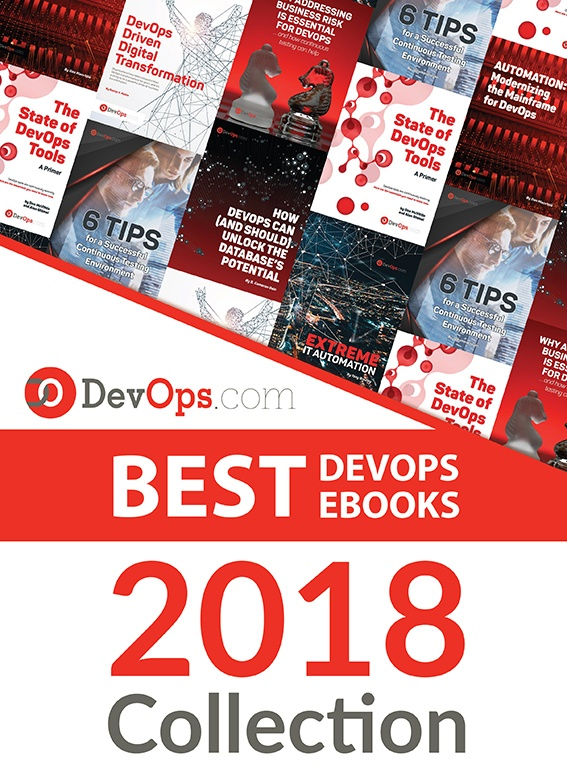 It is necessary for DevOps team members to collaborate at all levels, except those where the work on software is so minor that it wouldn’t benefit from shared thought. To maintain development as an expedient process that benefits from all stakeholders, open communications and collaboration must reach and pull from all team members. Otherwise, the project could suffer from a lack of critical input.